The canning frenzy continues with a Latin American inspired recipe ❤ This Salvadoran salsa is traditionally served with pupusas and curtido, but I also serve it with tortilla chips, mixed with broth to be used as a base for soups and chilis, as an an enchilada sauce, or anywhere you use salsa (smothering beans and rice, over scrambled free range eggs, drizzled over a taco salad, used as a dip for veggies). In contrast with my fermented salsa recipe, this is a simple cooked recipe. This year I did big batches of both as I love them equally. 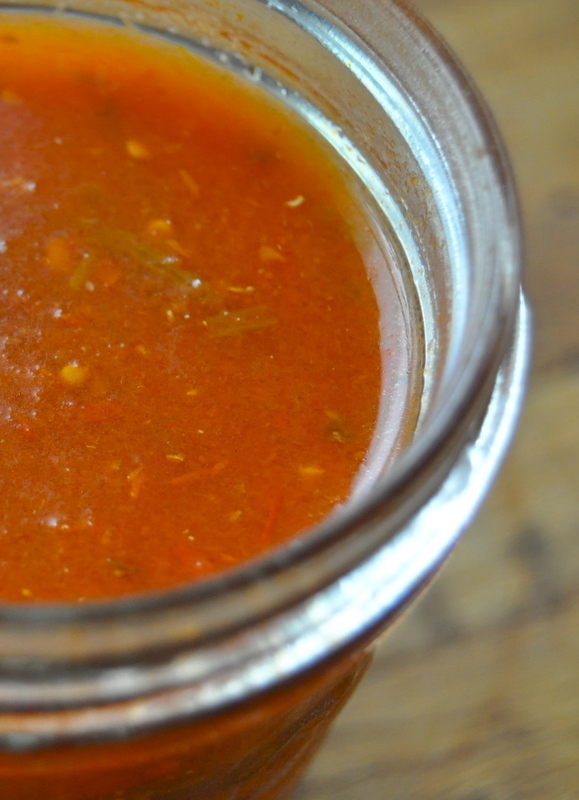 Once you taste this sauce you will be inspired to use it in a variety of ways, it is so good! This recipe makes about 1 quart. Multiply as needed. Ladle sauce into sterilized (either by running through the dishwasher, or setting in boiling water for a few moments) mason jars, leaving 1 inch of head space. Screw lids on jars. 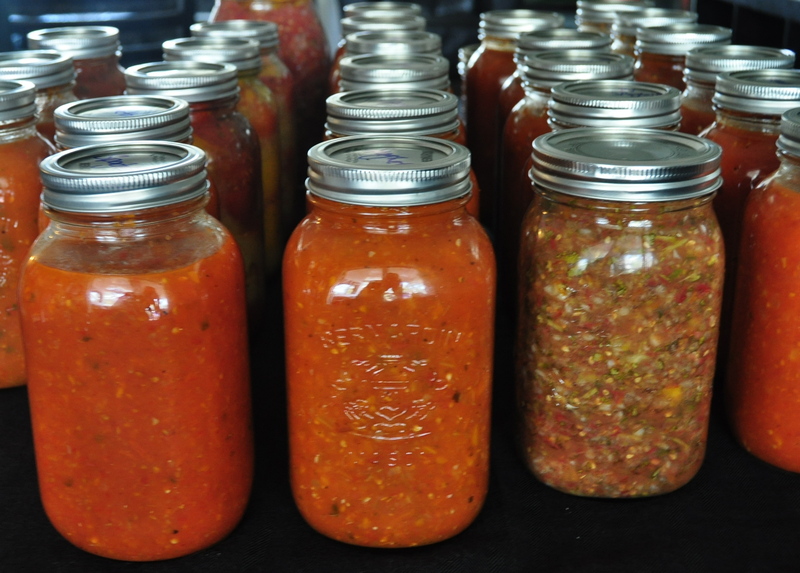 Boil the jars in your water bath canner or a large pot for 40 minutes. Carefully remove the jars and allow to cool. Once cool, ensure they are sealed by pressing on the centre of the lid. It should be firm and not “pop” back and forth. Once canned, sauce will last the year. 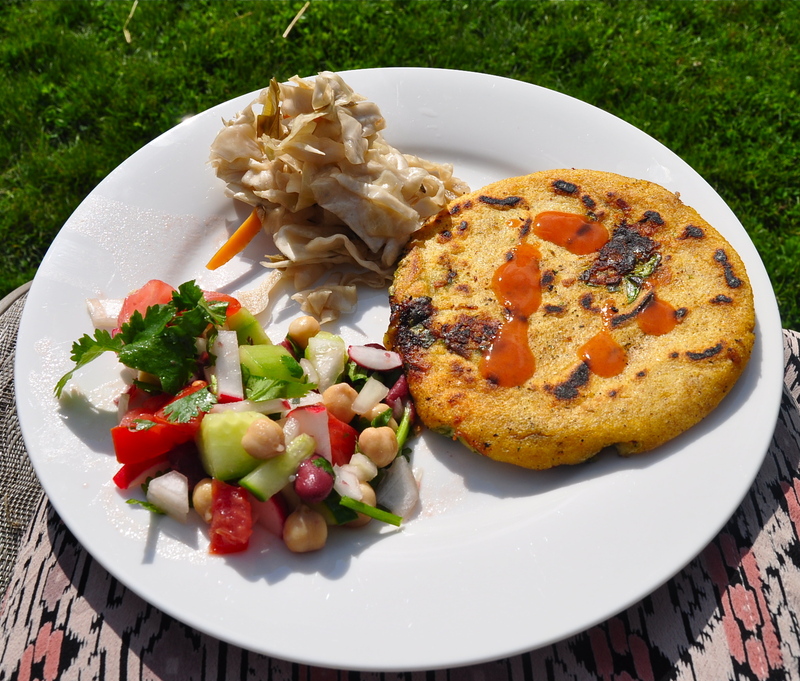 This entry was posted in canning/preserves, vegan, vegetarian and tagged canning, dairy free, gluten free, mexican, nut free, preserved, recipe, salsa, salsa roja, spanish, vegan. Bookmark the permalink.